At Fresh Coat, our priority is to delivery quality coatings on every project. We want our coatings to last just as long as our customers would like them to! 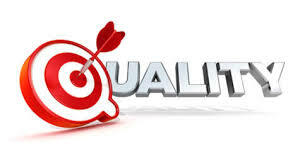 Similar to the word "service", "quality" is often over-used and under-delivered. We wanted to list a few components of our business plan to help you, the customer, understand how we conduct quality control on our projects. Preparation Work: One key component of a quality project is preparation work. The preparation of any given surface will determine if the coating is going to last. We take the preparation steps necessary to ensure a long-lasting product. Our proposals identify exactly what preparation steps and sequences we recommend using so that our customer's have peace of mind that this phase of word is completed correctly, without shortcuts. Quality Materials: The differences between paint products are often mis-understood and overlooked... it is believed that there are too many products on the market to simply "know" what is the best product for a specific condition. This internal material dictionary is what we specialize in! We are not dedicated to a single-manufacturer or product line, thus allowing us to always look to recommend the best product for a particular surface or condition. Finished Surface: We employ experienced individuals who are personally dedicated to the painting craft. Straight cut lines, minimal brush markings, fine spray work, etc... There are many tell-tale signs of a quality finished surface, and these are only a few. We are efficient in our fine finishes as we are accustomed to doing so. Correct Equipment: We have invested thousands of dollars in purchasing the correct equipment and hand tools to make sure that we can provide the finish that our customers desire. Clean Work Areas: Cleanliness is not only a service mark of Fresh Coat, but also a quality component. The preparation work referred to earlier usually leads to some dust being generated (because of the sanding and scraping efforts). If this dust is left around the work area, it can affect the appearance of the finished product. This is why we maintain a clean working environment at all times. Should there ever be any questions related to our quality standards, please complete the "Request Free Consultation" form.